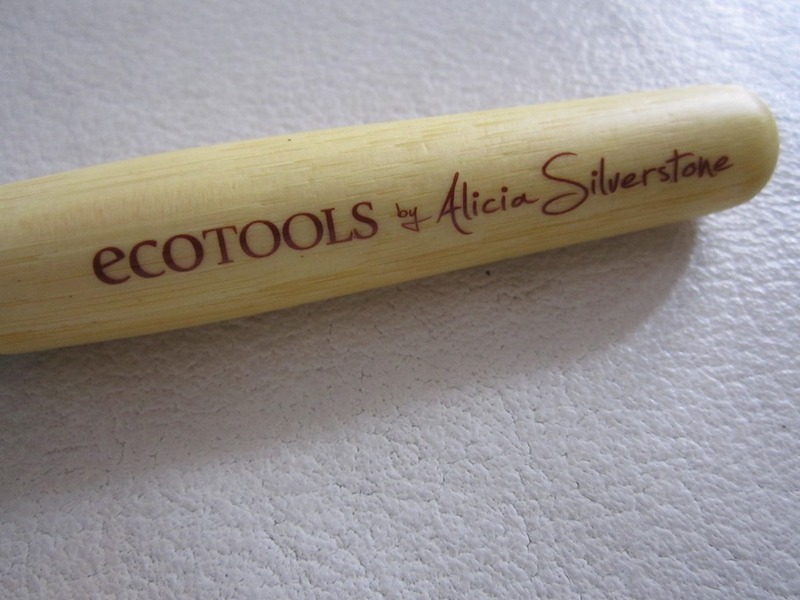 I got this stippling brush from one of my friends.This was part of Alicia Silverstone 5 piece brush set.I wanted to try this brush as being a stippling brush,it looked very soft yet dense. 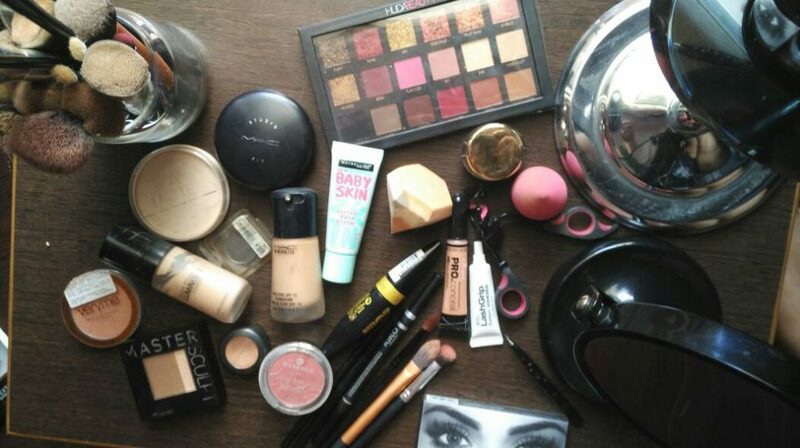 PRICE:I got it for around 300 rs. 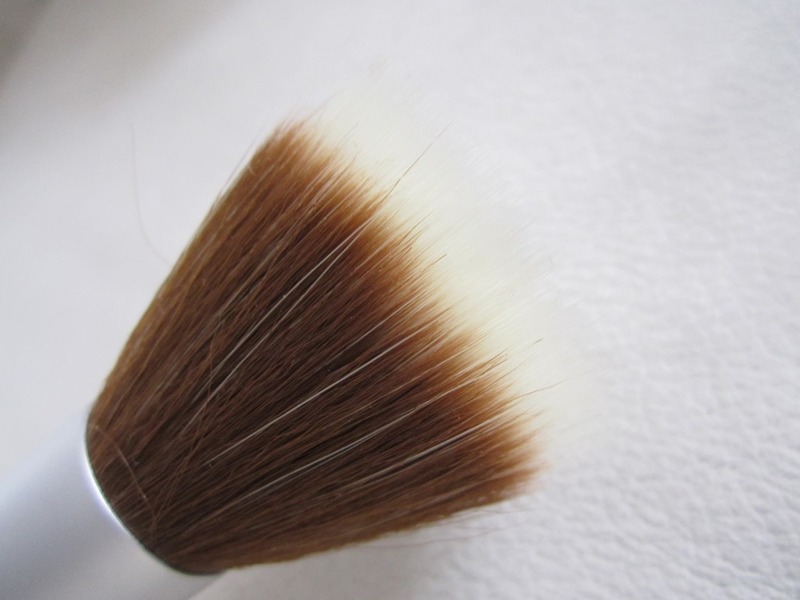 THE BRUSH:The brush is firm to hold but the bristles are amazingly soft.They are dense and 2 colored.Brown from base and while on top.Some may think that the brush might look untidy after usage as white part of he bristles get stained but they get cleaned after washing. 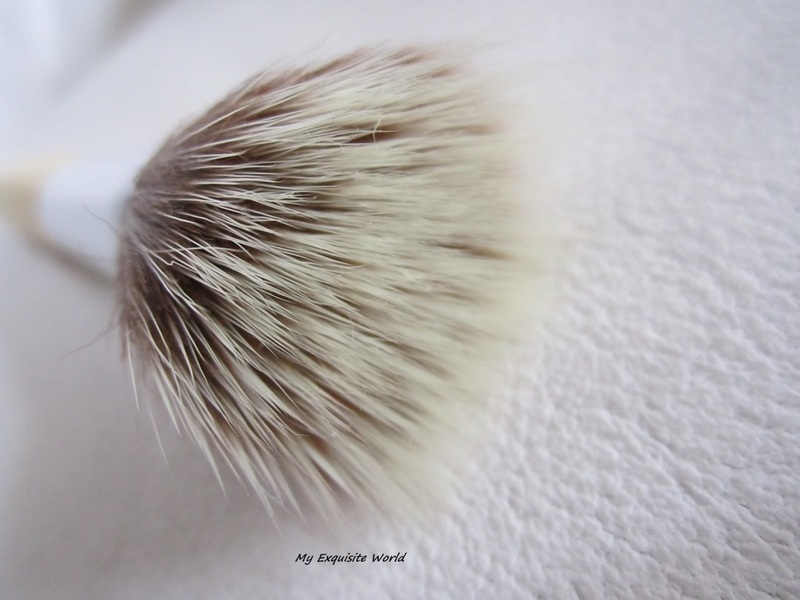 MY VIEWS:The first time I tried the brush.,I wasn’t much happy though I was very excited to use it.The bristles are so soft and blending is a dream with this but I am used to sponges and real techniques stippling brush which is quite firm as compared to this brush.So,I felt that blending was not perfect.I feel that this brush need a little much effort in blending since it isn’t very firm though the bristles are denser.It can sometimes leave streaky line so you need to be careful. 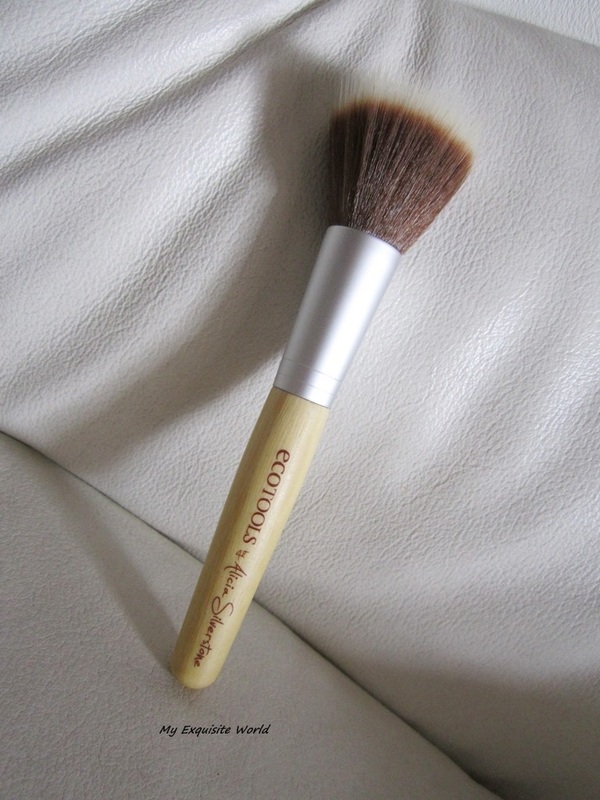 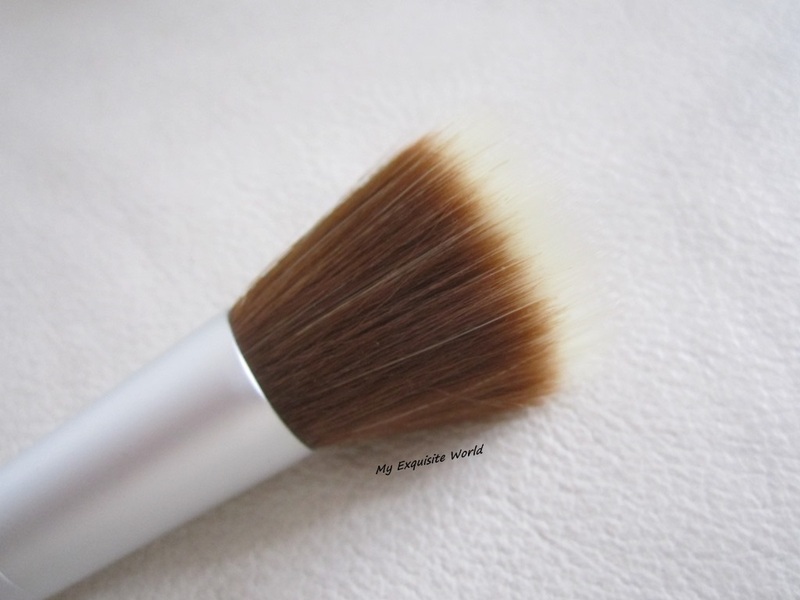 The brush is easy to clean with mild cleanser and warm water.It doesn’t shed nay hair and stays soft.The handle is firm and it is better in application of powder blushes.Overall I like the brush more as a blush brush than stippling brush. 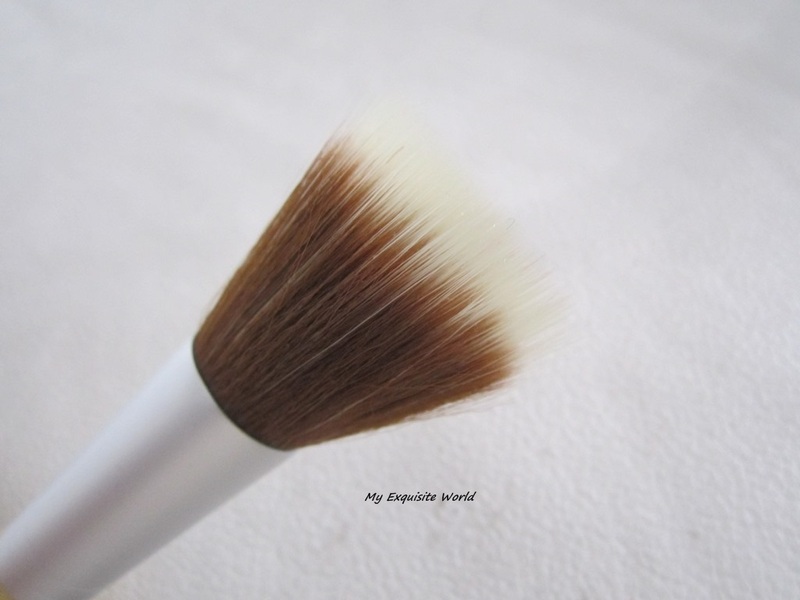 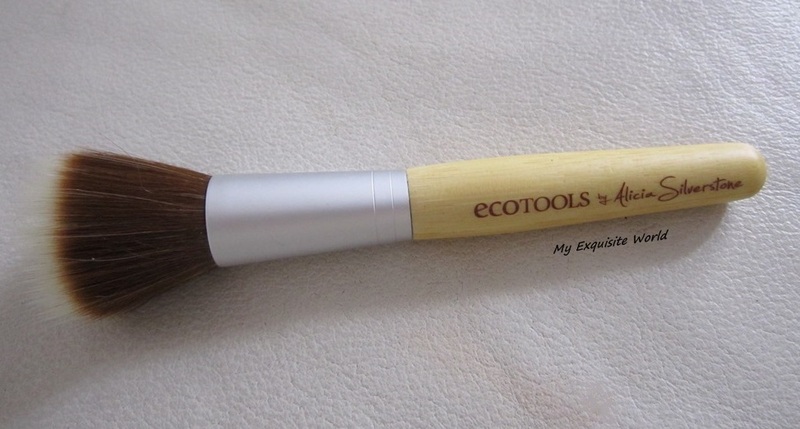 RECOMMENDATION:It is a decent brush that is handy and good to use.The bristles are soft so good for those having sensitive skin.It is a gentle brush but it didn’t work for me as a stippling brush.